It is the summer of yellow! 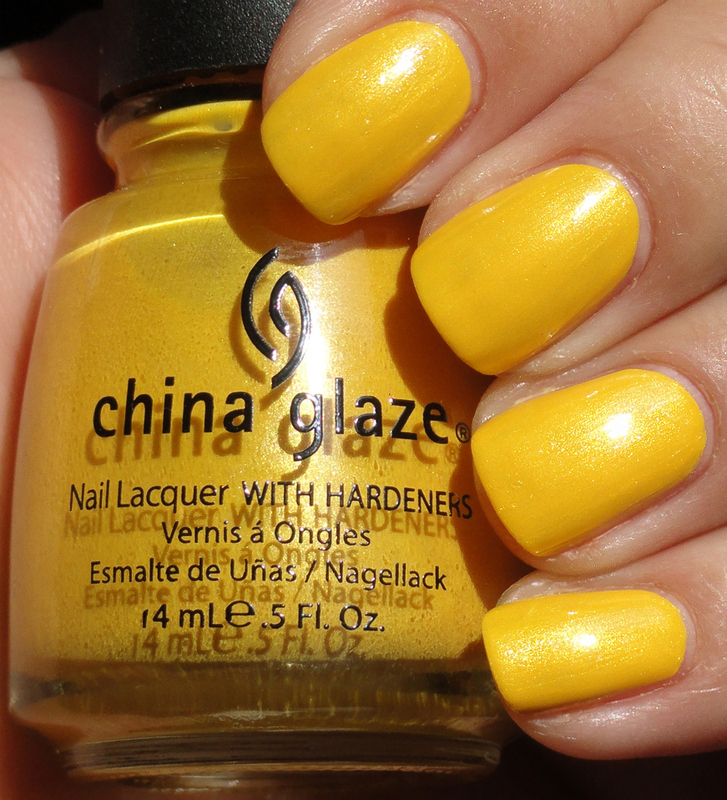 This sunny butter polish is courtesy of China Glaze, from their Eco Collection of 2008. 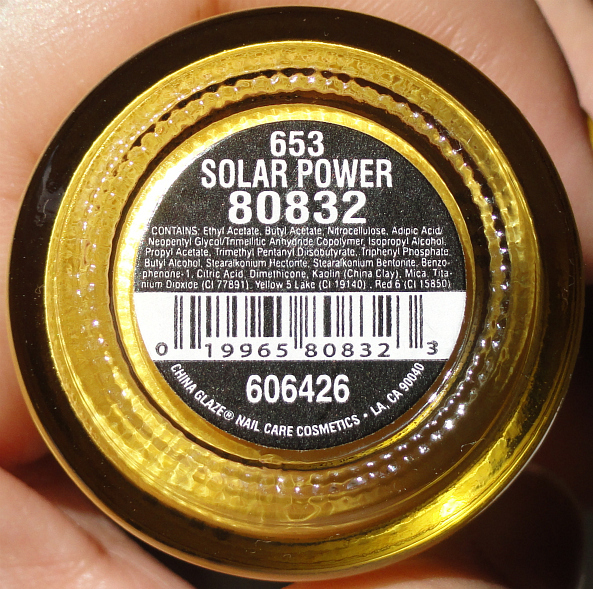 Solar Power is a core collection polish available at Sally Beauty but for some reason I had always passed it by. Well, being so on trend, of course haha, I decided to pick it up. 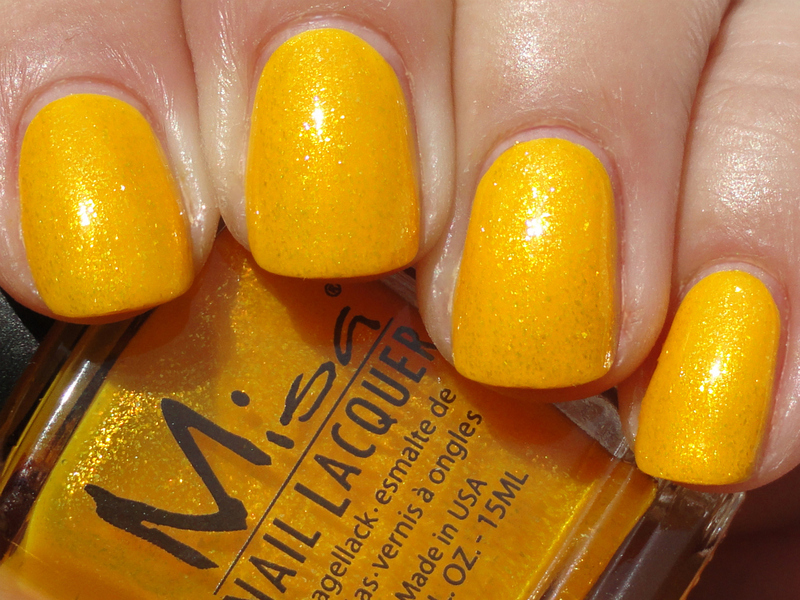 Plus I wanted to see what Misa's Under My Sunbrella looked like over an opaque yellow. This is a crème with a slight bit of gold shimmer, more of a light dusting really. Very chic! I actually love this and can't believe I didn't pick it up sooner. Here it is with Under My Sunbrella layered over it. Very pretty and super summer sassy wouldn't you say? This is definitely one of my favorite combos ever. How are you liking the yellow trend this season? Is it not your thing or are you diving into it headfirst?